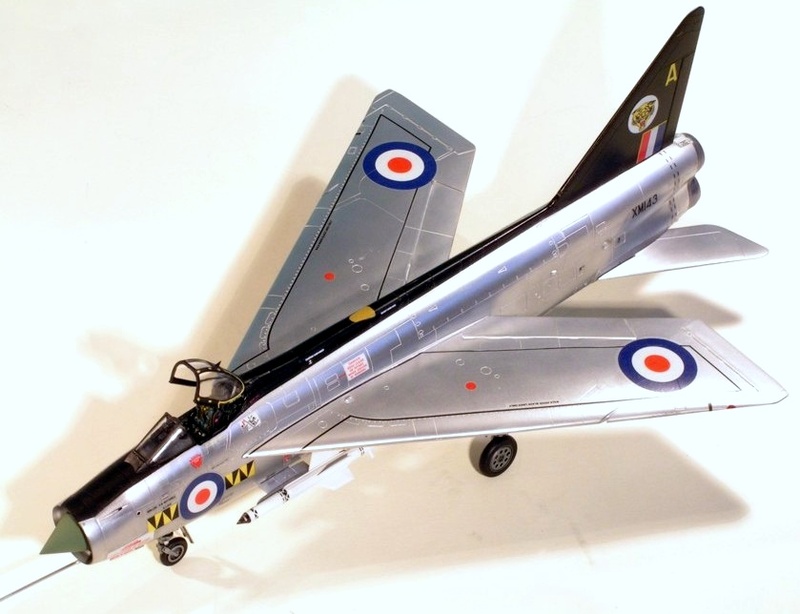 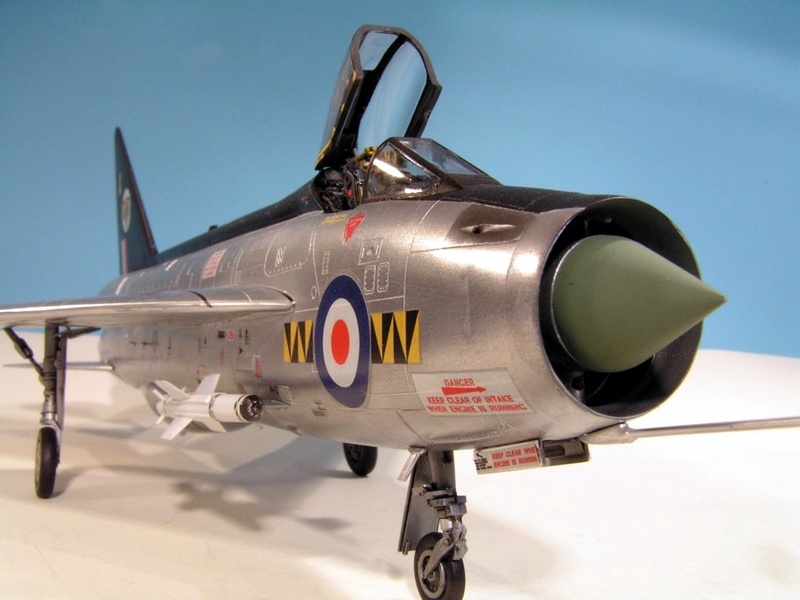 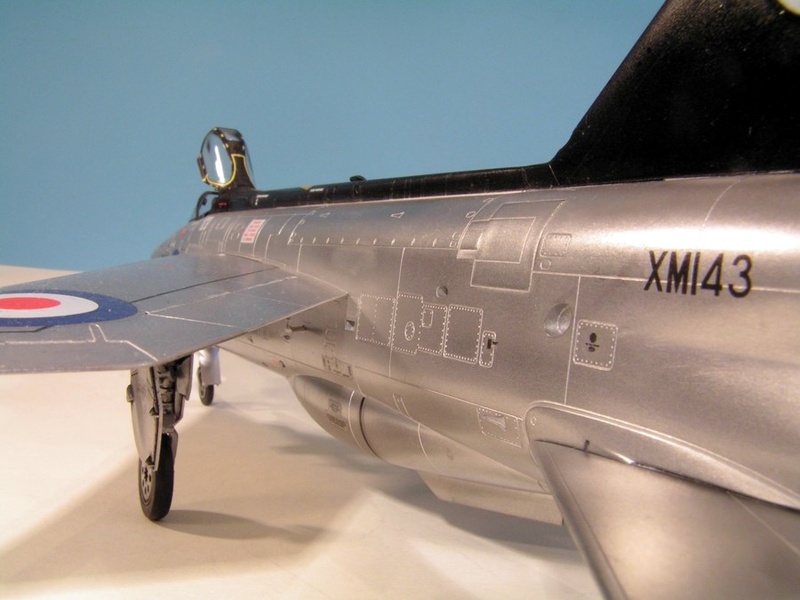 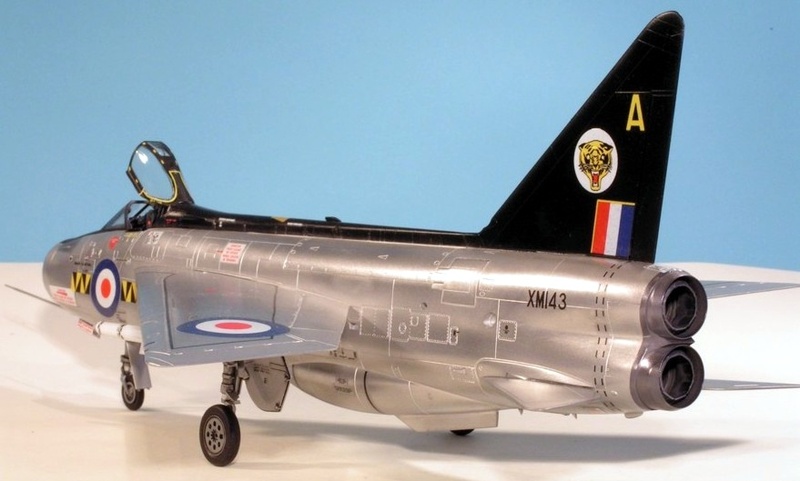 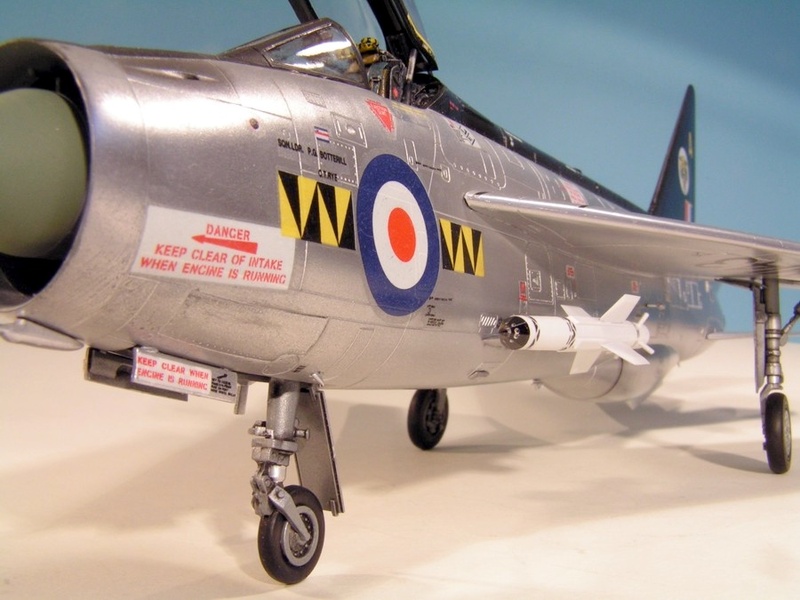 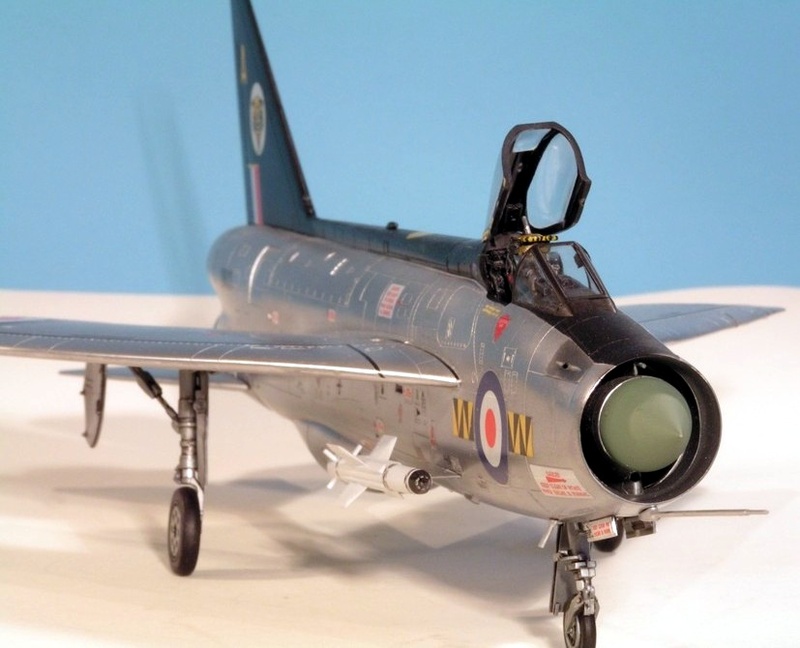 Here are some images of my Airfix 1/48 BAe(EE) Lightning F.1. 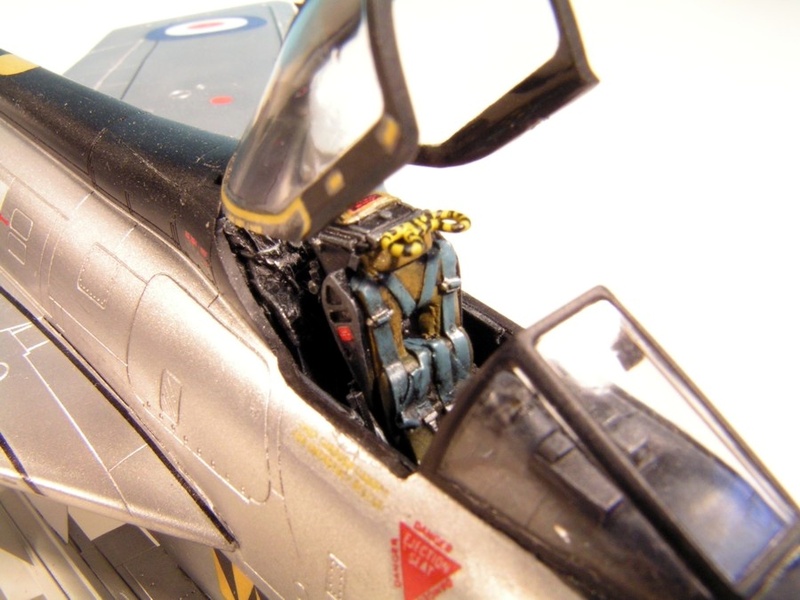 It has a Cutting Edge cockpit set, which went in very nicely, but apart from the seat is very difficult to see. 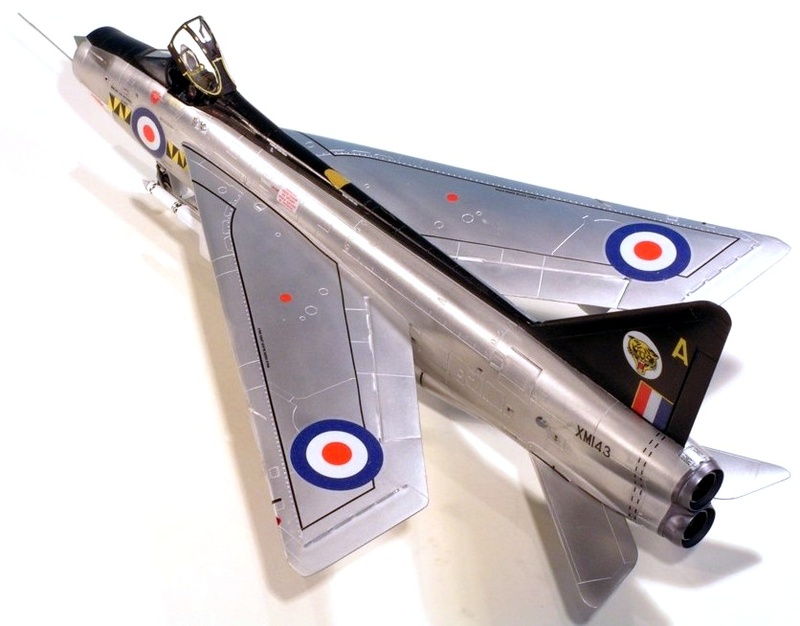 The natural metal finish is SNJ, and the decals are one of the options provided with the kit. 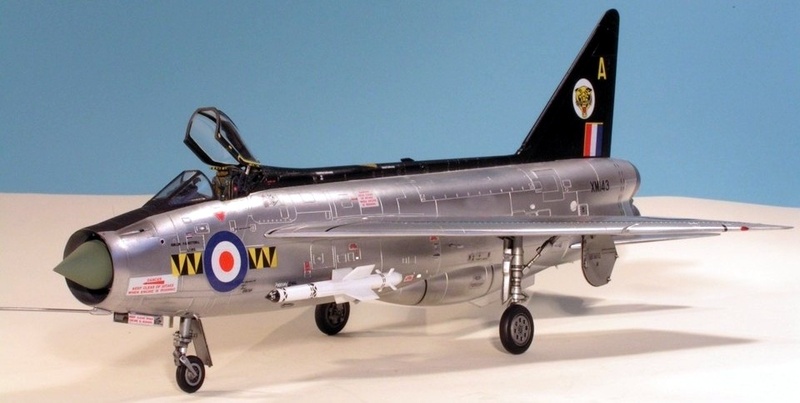 Still no setting solutions used yet, so they don’t look great. 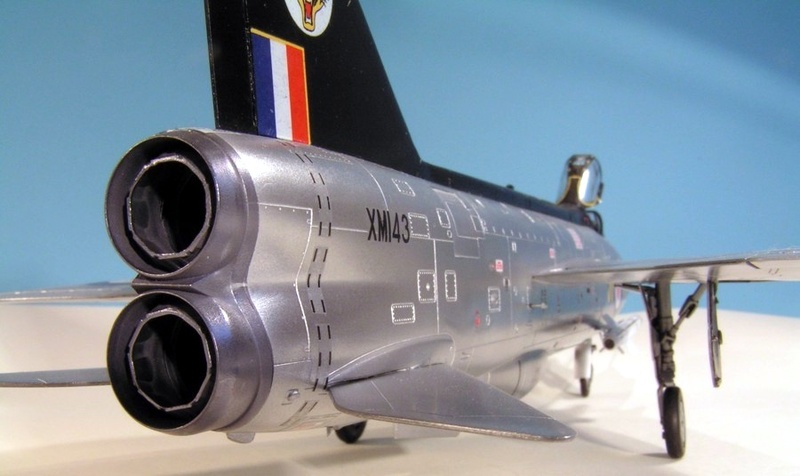 The exhausts are painted in Humbrol Metalcote Polished Steel. 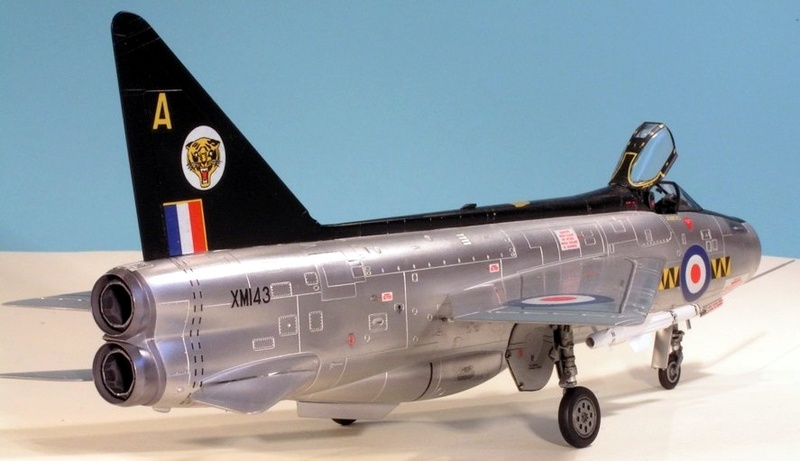 This is a great kit which went together really well, and the finished article looks ok (I think!). 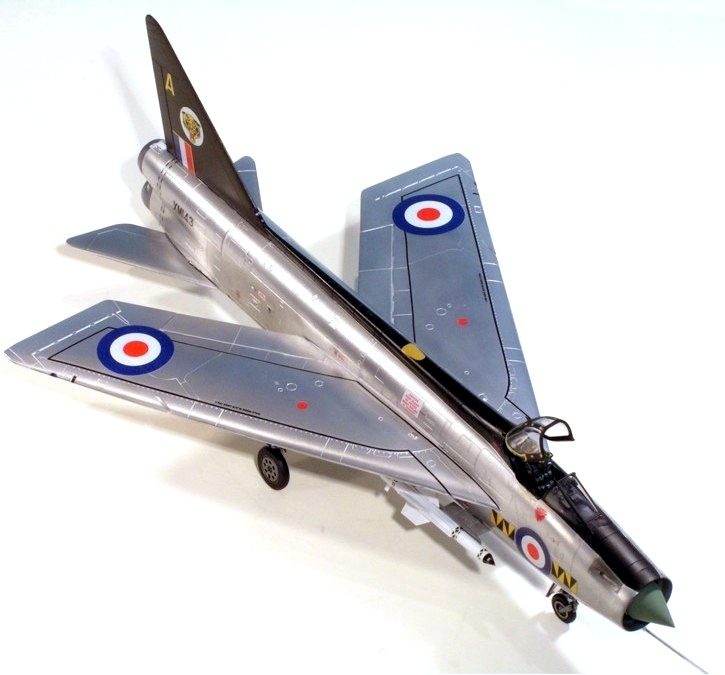 The main problem with this model is that the wings were pretty warped – it doesn’t look great head-on! 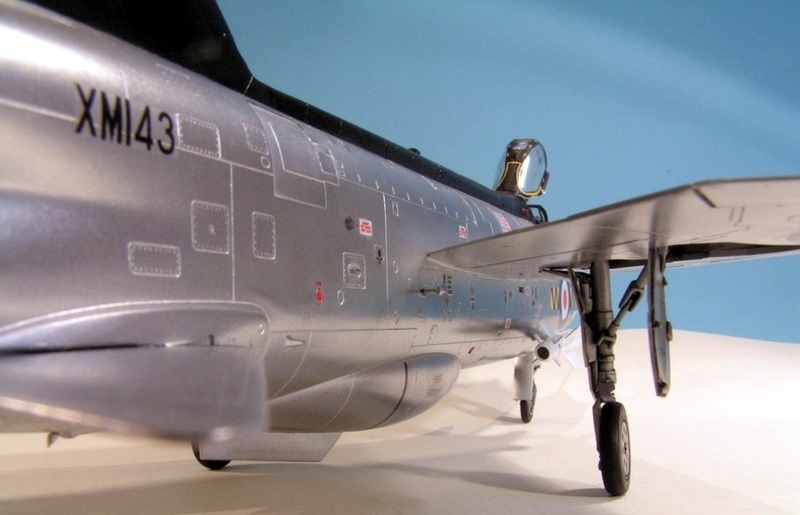 The plane is armed with two Firestreak missiles, which come with the kit and are very nice indeed. 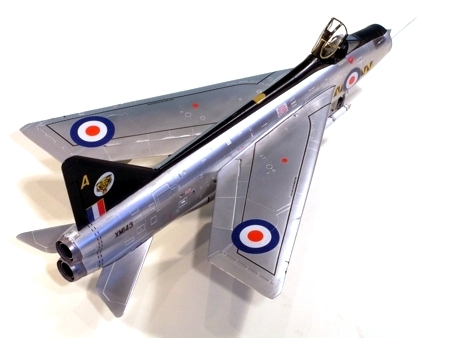 The F.6 version can be seen here.